Stocky has teamed-up with AG Composites to offer a lineup of Stocky CAD designed, premium lightweight carbon fiber stocks for under $600! Hand lay-ups of premium carbon fiber cloth are resin-impregnated and molded one-at-a-time by American military veterans, the inletting carefully machined like the more expensive stocks then finished in your choice of textured colors to produce some of the stiffest, most durable lightweight Remington 700 stocks on the market today. Our vertical-grip design on the VG2 has quickly one of the most popular stocks we have ever made. The VG2 is also offered in laminated wood and glass-filled nylon construction, but this new carbon-fiber lay-up version is destined to set records not only in sales, but also in the field and at the range. The VG2 comes to you with pillars installed, features a hand-fitted Pachmayer® Decelerator XL recoil pad, 2 swivel studs for sling / bipod use and is available in sporter, varmint and our exclusive Proof Research / M24 barrel channel inlets. Although we do recommend epoxy bedding on all of our carbon fiber stocks, the stock is also designed to be a "drop-in" and can be used by simply bolting in your barreled action and triggerguard / magazine system. When I first saw this stock I knew I was going to have to get one to compare it to the Manners EH1. 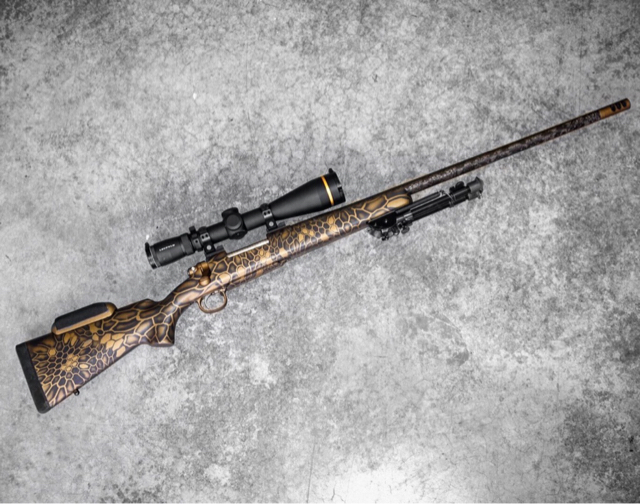 I am constantly looking for a rifle set up that better suits my needs. 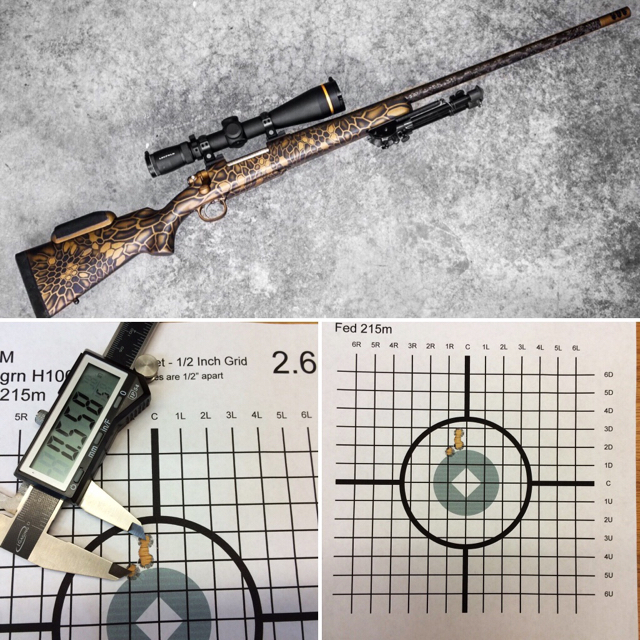 While I am not sure I really consider myself a long range hunter, because that is not my primary focus when hunting, I do like to be prepared to take ethical long range shots. Of all the stocks I have had my hands on the Manners EH1 is my current favorite. It has a vertical grip and a high comb with little drop at the heel. When shooting prone it is instantly noticeable that the EH1 is far superior in comfort when compared to most other stocks. It achieves this comfort level without a ton of extra weight. My only issue with the Manners is the wait time. I decided to order a stock from Stocky's to have a look. I ordered a long action, M24, BDL in black. My initial impression is that this stock, for all intents and purposes, is identical to the EH1. The only real differences are that the EH1 has some texture in the grip and on the forearm. I am not sure I will miss it. I have had 3 EH1s. One of them had a 1" decelerator and weighed 36oz. The other two have the 1/2" decelerators and weigh right at 31oz. The Stocky's has a 1" decelerator and weighs 32oz, so you get a better recoil pad with no weight penalty. Stocky's list the drop at comb at zero, which is not correct. The drop at comb/heel is measured from the center of the bolt typically, and this one is .35". I have a Christensen Arms Ridgeline 30 Nosler on the way that I plan to bed into this stock to try it out next to my manners. My initial thoughts are, if you have a 700 footprint action, you are going to use BDL bottom metal, you do not need the fancy Manners' finishes, and/or don't have time to wait this will be a great stock for you. Once I get the Ridgeline into stock and some rounds though it I will report back. How long did it take to receive from when you ordered it? Great write up and have looked at these for awhile.. They did just increase price a bit on them but still lower than the manners and I think 1-2 week shipment on them.. Can't wait to see how you like it after putting rifle in it. Yes I think they went up a bit. The current sale price is $550. Mine shipped the day I ordered it. I had it within a few days. Good write up! Can't wait to see how the stock performs once you've completed the package. I'm running the AG composite CAT 700 on my 7 LRM. It's a great light weight hunting stock that comes in at 25oz, aluminum pillars and it compliments my proof senders light barrel with a total weight of 8lbs with a Leupold VX-6 4-24x52. It's got a normal "factory" profile with the exception of a slightly widened forearm for resting the rifle. I've added my own custom built cheek riser for proper comb. I believe the CAT 700 was $399. I've taken a nice buck antelope at 450 yards, a cow elk at 300 yards, a Muley buck at 450 yards and both my buddies took their Muley bucks with it. One at 300 yards and the other at 610 yards. All DRT. AG is making some really great products. They've got a new adjustable comb stock coming out soon that will really be the cats meow! Very sweet rig and it looks like it shoots. Just a quick update on the stock. I did get the Ridgeline in my hands and set it in the stock. The stock will have to be cut out for the side bolt release because the action sets down farther into the stock than it would in a EH1. I have their CF M50 stock and have been very impressed! It's going on my new medium range build (6.5 GAP 4s with 26" Proof Sendero on a LPA Fuzion Ti). So far, I actually prefer it to my Manners. Feels like it will take abuse much better.